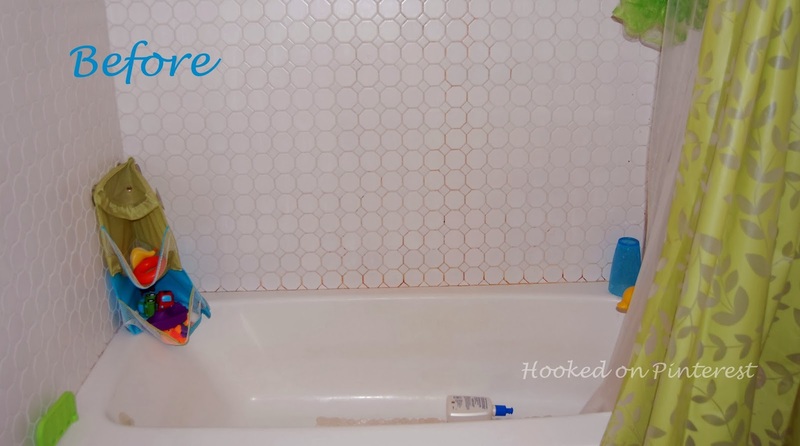 I have hated the lack of bath toy organization in our bathroom for a long time now. It always looks like a hot mess. 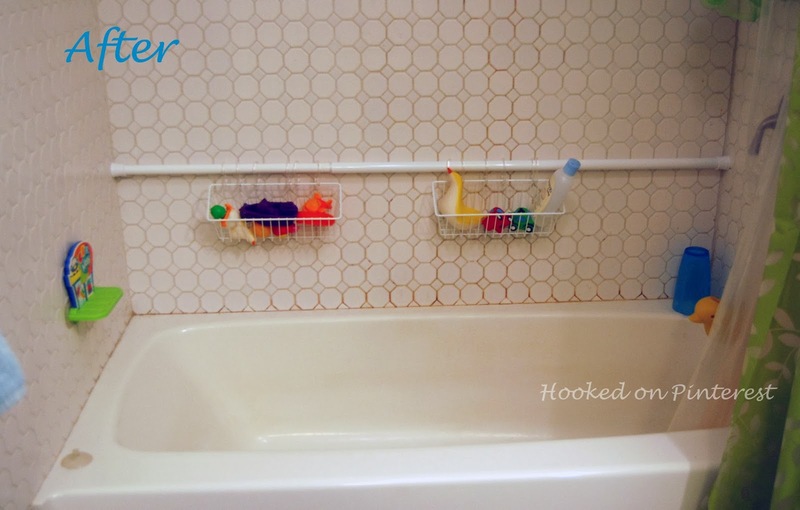 I searched Pinterest for a reasonably cheap solution to this problem and came across what you see above, a shower rod with wire baskets. Let me show you my bathroom storage before so you get an idea of where I was coming from. This pin did not have a working link, so I do not have an original website for you guys. I bought this stuff on amazon, I've attached the link for anyone who is interested. All of these items were available for free super saver shipping. All in all this was one of the easiest transformations that I have ever under took, taking a total of two minutes to put up. I love that the bath tub now looks and is more organized. The whole project cost me $35, which is more than I would usually spend, I'm sure if you shopped around you could find the items for cheaper. 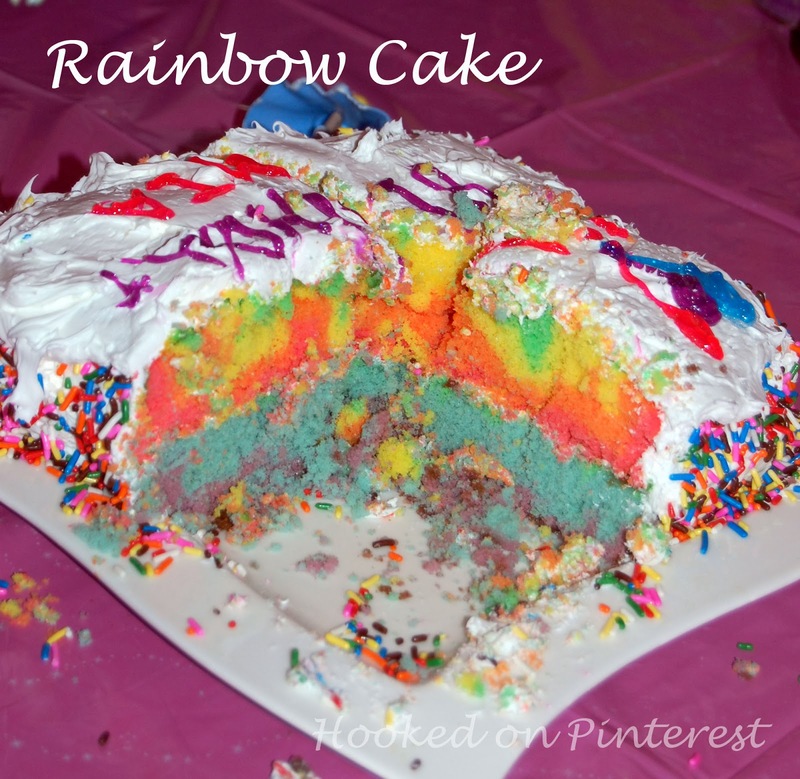 The rainbow cake recipe has been around Pinterest for a really long time, I've seen it in many different variations, rainbow cakes, cupcakes, pancakes, etc... I decided to make this for my daughter's birthday last year. It was really easy to make, it takes a little longer than making a plain cake, but so worth it. 1. Mixed up a batch of white cake mix. 2. Separated the mixture into 6 different mixing bowls. 3. I added a different color food coloring to each bowl. 4. Poured each color into the cake pan one on top of each other. 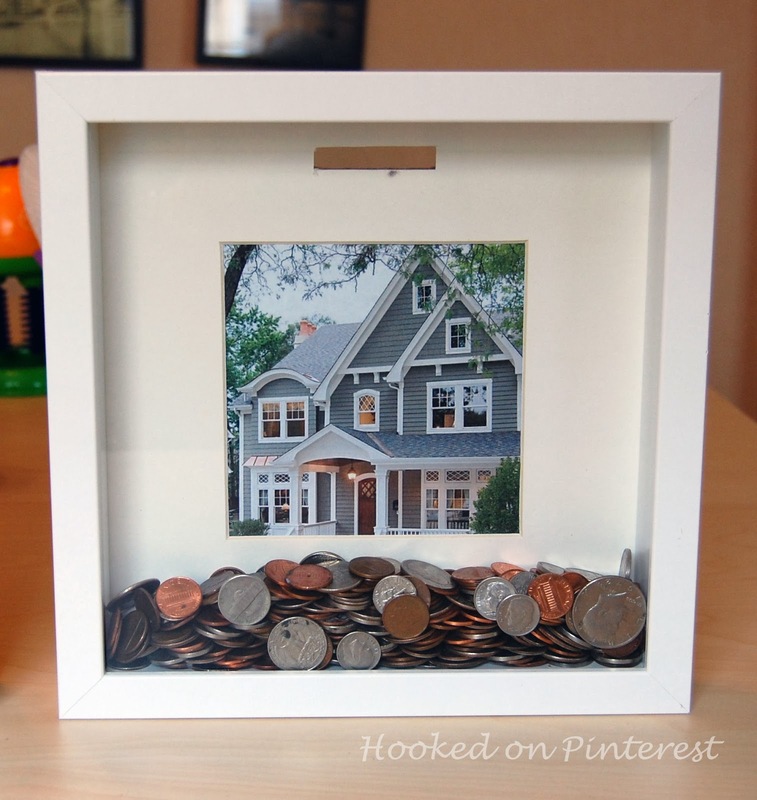 One day when I was perusing Pinterest I came across this fun way to save money for a specific goal, it also beats keeping my change is a glass jar. 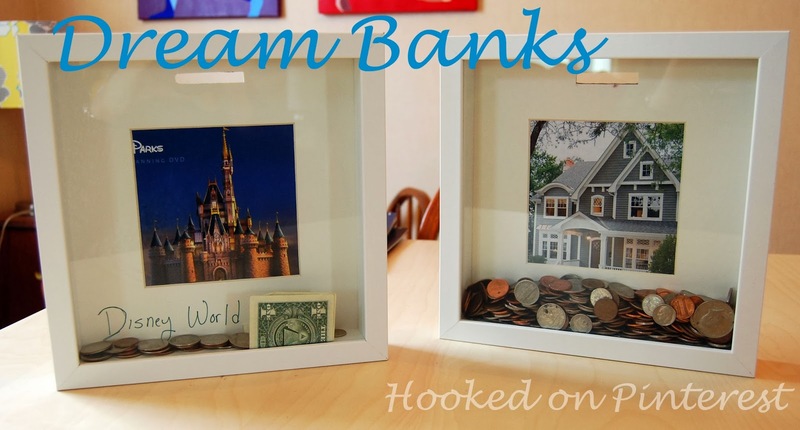 The idea is you create a bank from a memory frame, shadow box or keepsake frame. The one I saw on Pinterest was available to buy from uncommongoods.com and cost $25. I decided to make one of my own from a memory frame from Ikea and a X-acto knife for $10. Here is one from Amazon that is even cheaper than the one that I used. The easiest way to create one of these banks is by using the x-acto knife to cut a slot back of the frame to insert the money. This took me about an hour because the backing to the frame that I had was relatively thick. But, after I created the slot the bank was pretty much completed. 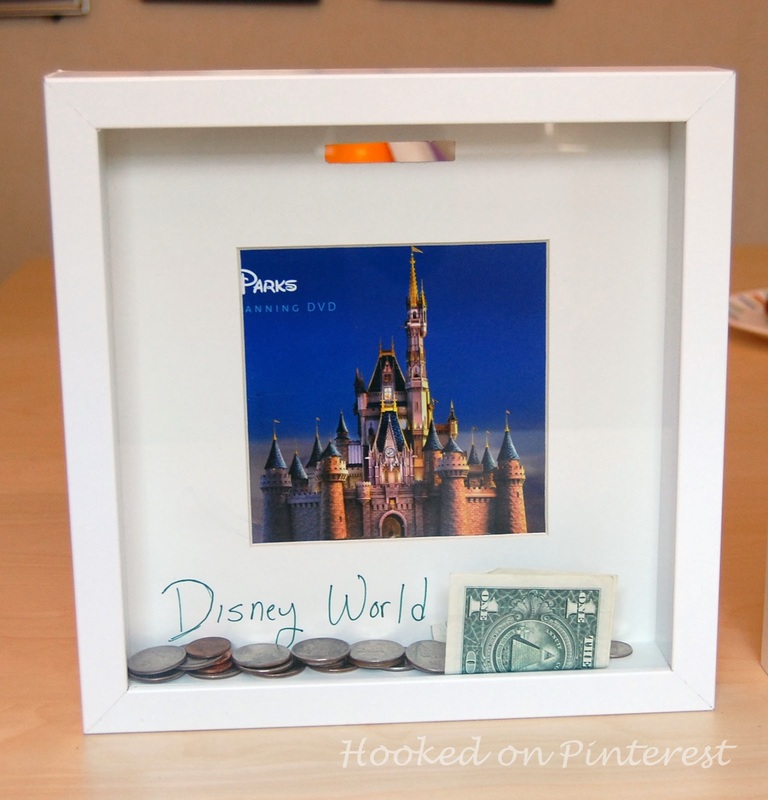 I made one for to save for a trip to Disney World for the family and a Second Floor Addition to our house. About 5 years ago I started a blog called Attractive Design for Less. This blog was about home improvement, home decor, DIY projects, pretty much anything home related. 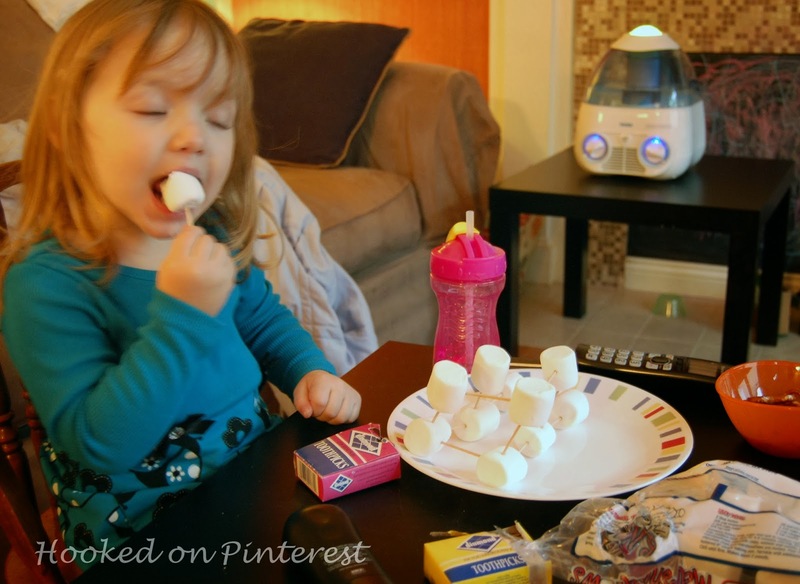 I ended this blog venture about 3 years ago, but I was looking through my old posts the other day and thought it would be fun to share something that I used to do before I had kids. 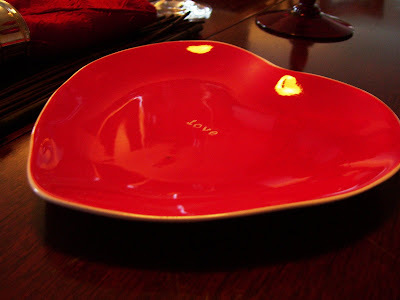 My husband and I did not have alot of money so we used to have a nice Valentine's Day meal at home. 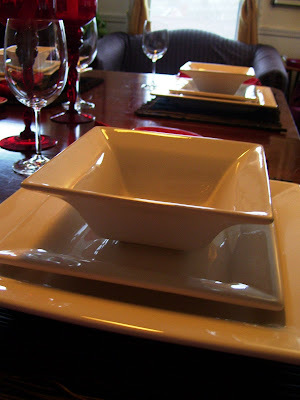 I used to decorate our dining room with nice dishes, candles and used cloth napkins. For anyone who is trying to save money and still would like to have a romantic Valentine's Day dinner this is a great idea. To save money you may be either having a romantic dinner in for two or a dinner party with friends, here is a table setting that will not break the bank. Valentine's Day is on Friday time to start some fun heart themed crafts. 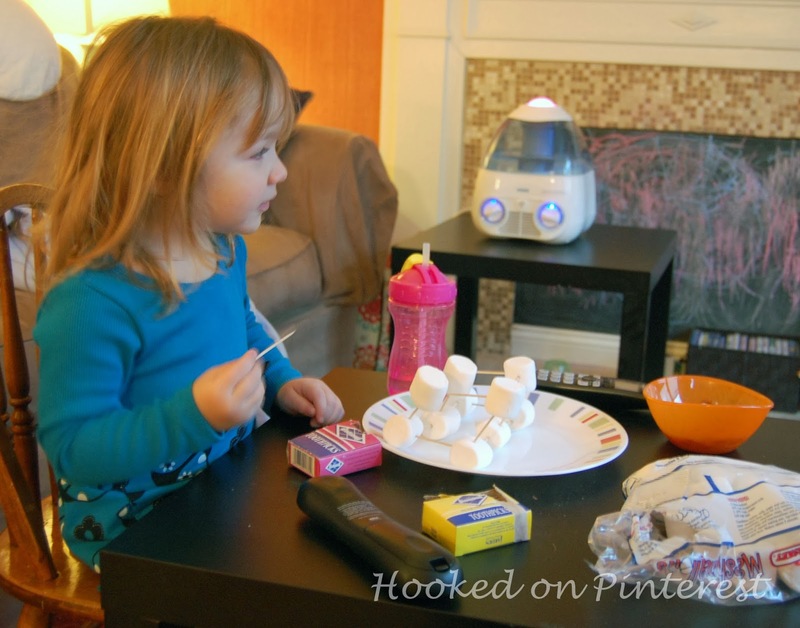 I searched through Pinterest for some fun easy crafts I could do with my daughter who is two. 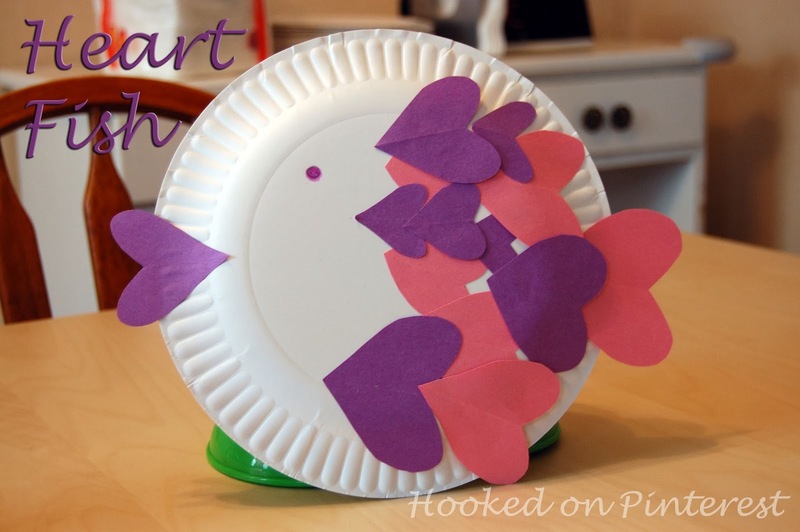 I found a fun craft that turns a paper plate into a fish using hearts. Original Website: This one did not link to an original website. One thing that I didn't do that I think might help, if you have a toddler doing this with you, is to cut out the hearts before you start. I cut the hearts out as we put the fish together and my daughter had a hard time waiting for me to do this. She did have fun gluing on the hearts. As the start of the Olympics is only days away, I have created another fun Olympic craft with my daughter. 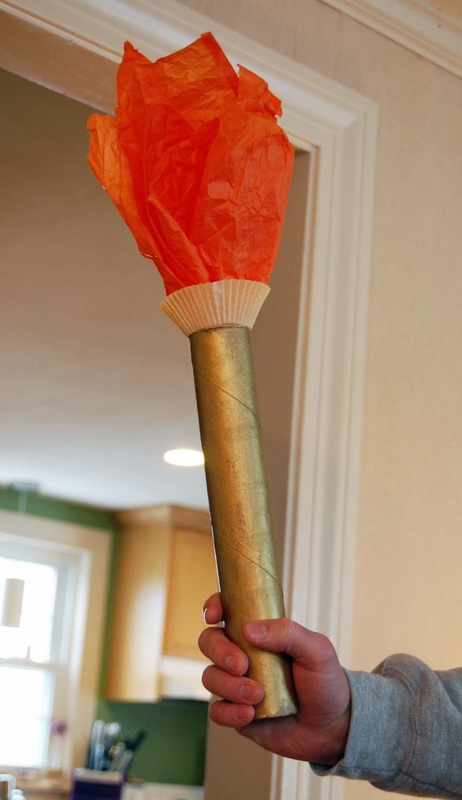 This time we have made an Olympic Torch. I found a great tutorial at Oh My Creative. I always look around my house to see if I have any materials that I can use to substitute for items that I might have to buy to create my crafts. This tutorial has you use a battery operated tea light, I decided to not include this in my torch to save money. You probably have most of these items in your house already. I added a link to some cheap gold paint on amazon.com, I had this in my house, I was purely lucky on this one. This post contains affiliate links, I do receive a small commission, this does not affect my opinions. The Olympics are starting this week and I cannot wait. My daughter loves to watch the ice skating and ski jumping. 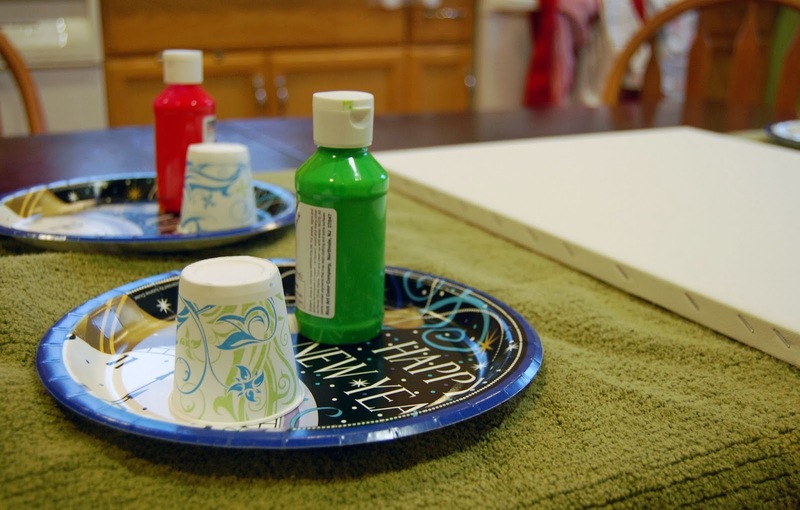 I thought I would look for some fun Olympic themed crafts to get our house in the spirit. 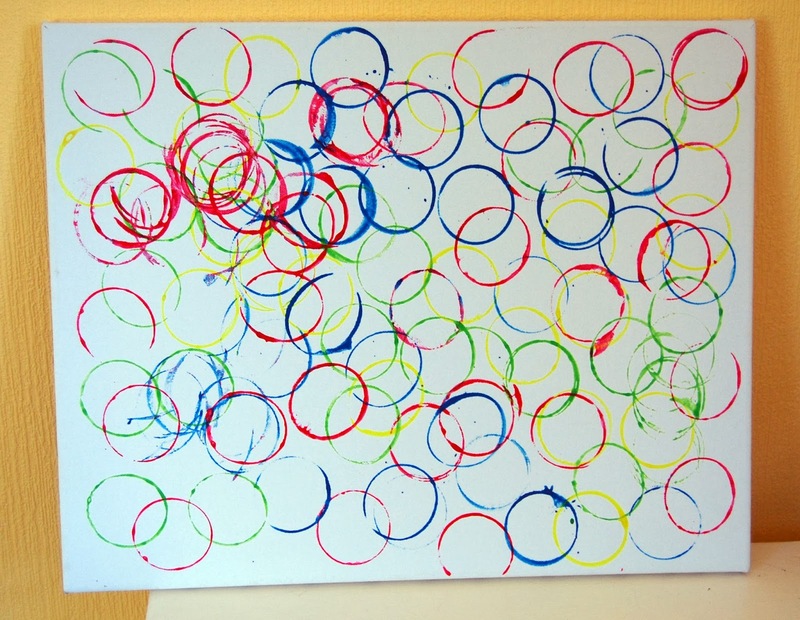 First up is a really easy, really fun painting craft that toddlers can even participate in, inspired by the Olympic rings. I found this one thanks to Monica over at East Coast Creative Blog. 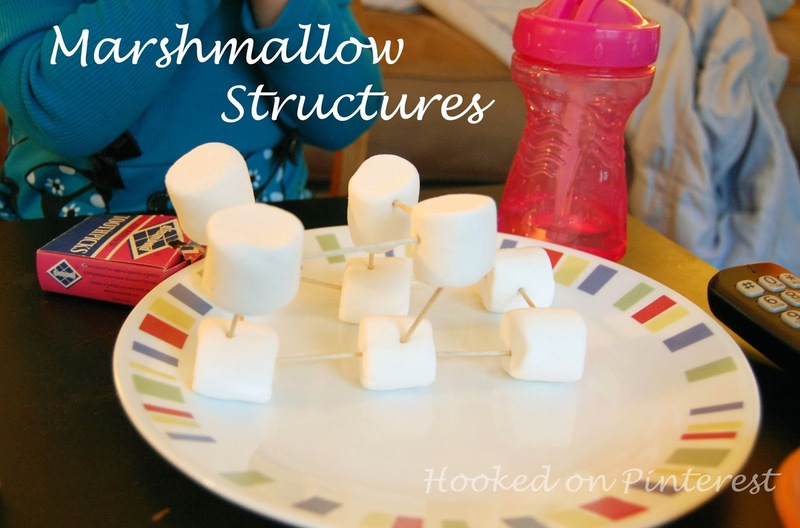 My daughter had a lot of fun with this project, I just set it up and let her have fun.